Live small sided games to ensure lots of touches and improved stickwork over the course of the program….just in time for the season! Play with the same team each week to get comfortable with players! Limited number of players on teams to ensure max touches for every players. Increase stamina, warm up your stick and improve skills for the first day of school tryouts! Our most popular program of the year and the perfect pre-season warm-up! 7 weeks of league play designed to get you ready for the season! All teams will play indoors at the MAC and the field will be split into two fields for small sided games with a MS field and HS field. 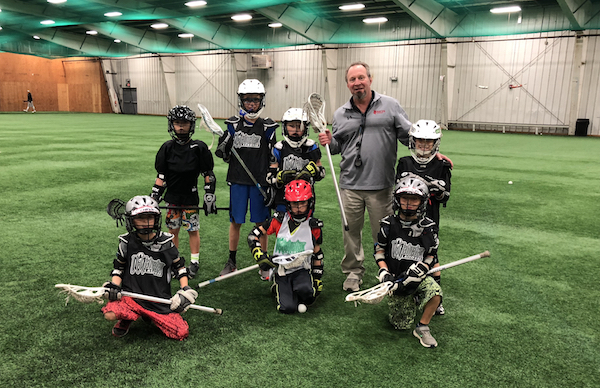 This live play experience will ensure each player gets lots of reps while enhancing game awareness, speed and improving stick skills & lacrosse IQ. Players may request to be on a roster with a friend(s) and each player will be assigned to one country team to play on for the duration of the program. Rosters will be capped at a certain number to maximize reps for each player. Scores will be recorded and playoffs will be the last Sunday to determine winners! 1st place teams will be named with the winner being given the World Cup Trophy! Players must wear a reversible pinnie (available at registration) OR teams may decide on same color tee-shirts to wear. 10 minute warmup/drills, 50 minute live small sided game each week. All games will be played at the MAC each week (possible outdoor game if needed). Please be warmed up and ready to play at the start of your time slot! This program is subject to change based on registration numbers. No discounts for missed Sundays or cancellations due to weather. US Lacrosse membership is required for all players (at additional cost) for insurance and liability purposes, no exceptions. Our coaches will be in charge of 3-4 minute sub rotations for all teams; we strive for even playing time for all players. All players should wear a reversible pinnie (if you ordered a Maineiax pinnie, please bring your own if you have one in case we run out before new shipment arrives) OR a team color tee shirt. Players cannot play without appropriate equipment and mouthguard. Maineiax does not prorate the cost for a missed practice or for not being able to participate in a full program. 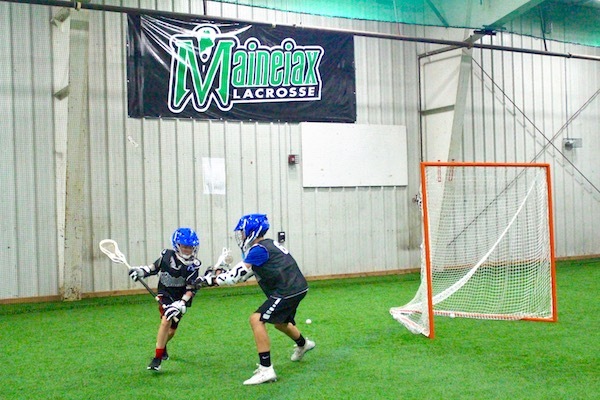 Maineiax reserves the right to change a program at any point or move players to a different program during the session. US Lacrosse membership is required for all players for insurance and liability purposes, no exceptions. Maineiax programs are not rescheduled or refunded if a session is canceled due to inclement weather as our field space is limited. Any and all information listed on this website is the property of Maineiax Lacrosse Club unless otherwise noted.